Every car wash owner faces adversity on the road to success. 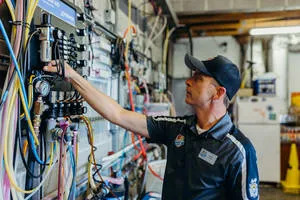 Labor issues, equipment failures, emerging competition, changing customer expectations, and more must be met in stride and conquered if a wash is going to stand the test of time. These operational challenges are to be expected. And the most successful car washers actually embrace the grind and use misfortune to hone their skills and improve their service offering. While there is usually some advance warning before challenges appear, adversity can strike without warning, and when it does, operators must rise to the occasion. 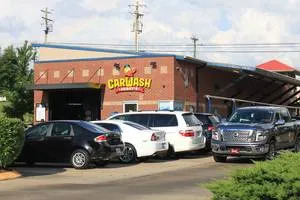 On November 27, 2017, Troy VanLiere answered the phone and heard the five words no operator should ever hear: “Your wash is on fire!” The owner of Sudsy’s Car Wash in central Tennessee, jumped in his car and raced over to the site hoping the fire was a minor inconvenience rather than a business-defining moment. At first glance, the wash appeared to have come through the ordeal primarily intact. The fire started in the equipment room where a faulty portable battery charger began throwing off sparks until it ignited a wooden workbench. The workbench was destroyed, but other than a layer of dirt and soot and the undeniable smell of burnt plastic and wood, the wash appeared to have dodged a major bullet. While the fire damage to the wash appeared to be minimal and purely aesthetic, the massive amounts of smoke and soot had wreaked havoc on the wash’s computer systems. Nearly every piece of equipment and computer in the facility was ruined. Following the initial shock that the wash needed an entire overhaul before it could begin processing cars again in its 130-foot express tunnel, VanLiere went to work on a plan to not only restore the 12-year-old site to its former glory but to take it to the next level. The wash’s insurance policy ensured that every piece of destroyed equipment was replaced with a brand new equivalent. However, VanLiere saw an opportunity to not only restore the site, but to enhance it. In addition to the replaced equipment, VanLiere invested an additional $350,000 into the site on improvements to Sudsy’s offerings. 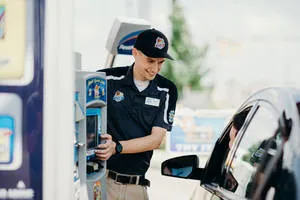 The upgrades included a new point of sale system, additional tunnel equipment, signage, and a new tunnel motif designed to enhance the wash experience. Troy VanLiere and his father David founded Sudsy’s 10 years ago. Prior to the fire, the Sudsy’s Spring Hill, TN location (VanLiere owns another Sudsy’s in nearby Murfreesboro) featured a standard tunnel experience. 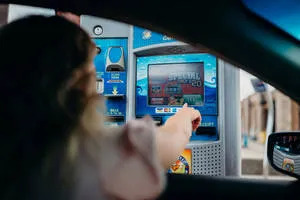 After paying for their wash at the automated teller station, customers travelled down the well-appointed tunnel, under the drying units, exited the tunnel and were on their way. A typical express exterior experience — but far from memorable. Now the wash experience at Sudsy’s can be described as anything but typical. VanLiere had all of the tunnel’s white PVC walls replaced and blacked out, creating a cave-like experience inside the tunnel. Plenty of LED lights adorn the tunnel and customers are encouraged to tune their FM radios to 94.1 to listen to programed music that is synced with the tunnel’s light show, providing an exciting and memorable experience for customers and their families. Friendly employees are always on hand to assist customers. New automated pay stations are part of the post-fire upgrades. The equipment room was completely destroyed by dirt and soot. department with the proceeds of the grand re-opening. 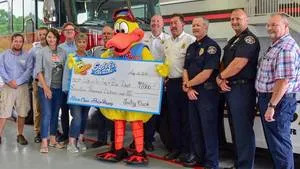 At the grand reopening, VanLiere and the Sudsy’s crew paid homage to Spring Hill’s first responders, donating all of the proceeds from the weekend’s festivities to the local police and fire departments. The money raised was given to the widow of Dickson County police officer Daniel Baker who was killed in the line of duty in May. Having just reopened the Spring Hill location in April, following five months’ worth of renovation and repairs, VanLiere is at it again. In September, he closed the Murfreesboro location for a little over a week to make some enhancements to the decade-old wash. The mini overhaul included all new tunnel cloth, building signs, parking lot restriping, and a post-blower buffing machine. VanLiere took out one set of mitters from the express tunnel and reconfigured the rest of the equipment to make room for a Motor City Wash Works Dry ‘N Shine machine at the tunnel exit. 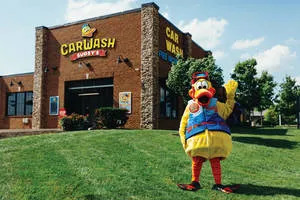 With two major renovation projects under his belt in less than a year, VanLiere has earned a well-deserved break, but the car wash veteran is not about to rest. 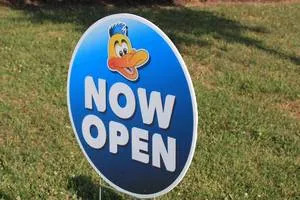 In fact, Sudsy’s is in the midst of construction on a third location in Columbia, TN. Sudsy’s broke ground on its newest location this summer and should be open for business before Thanksgiving. VanLiere and his partner and wife Donna bought eight acres of land on one of the main thoroughfares in Columbia. They will be developing about two acres of the land for their latest express exterior location. The expansive space has plenty of room for wide stacking lanes, a well-equipped tunnel, and 20 free vacuum stations. And for the first time ever, Sudsy’s will be adding a third pay lane for the exclusive use of its unlimited wash club members. Entrepreneurship is a challenging undertaking. Unforeseen roadblocks on the path to success must be conquered — operators need to have their eyes fixed on the horizon to capitalize on looming tests as well as opportunities. Troy VanLiere and his family have overcome adversity and come out the other side stronger operators and better equipped to meet the needs of their community.